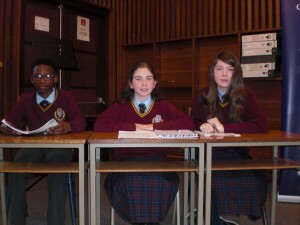 A massive congratulations to class 1A3 which has emerged as the champions from last Friday’s 1st year debate. 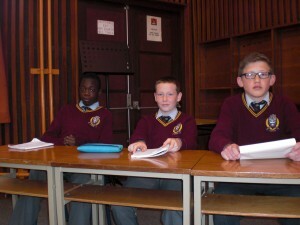 The three debates were hotly contested and many excellent speakers demonstrated their talent in trying to convince us of the merits of their given topic. That city life is better than country life. 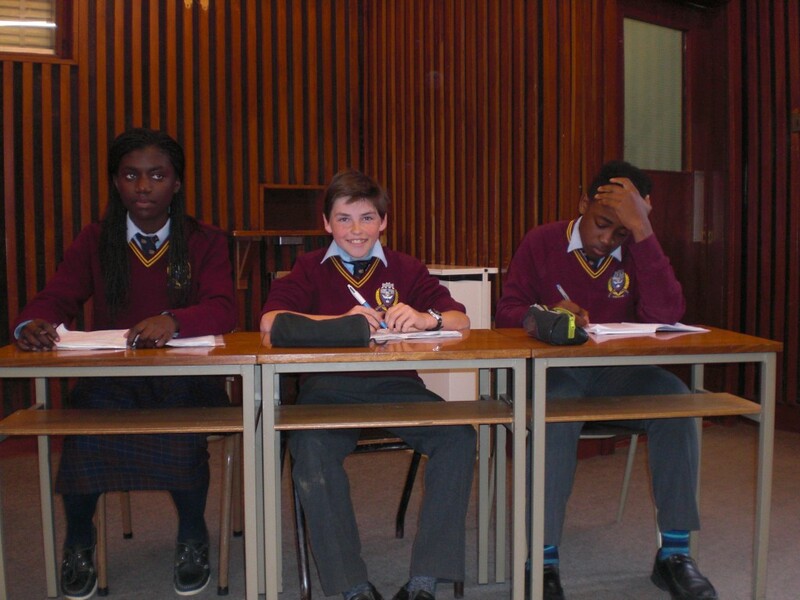 1A2 was represented by Luka McGrath, Jack Taaffe and Abdul Mhueez Olaosebikan for the proposition and 1A1 was represented by Rapha Diamond-Ebbs, Louis Mbikakeu and Evan Logue for the opposition. 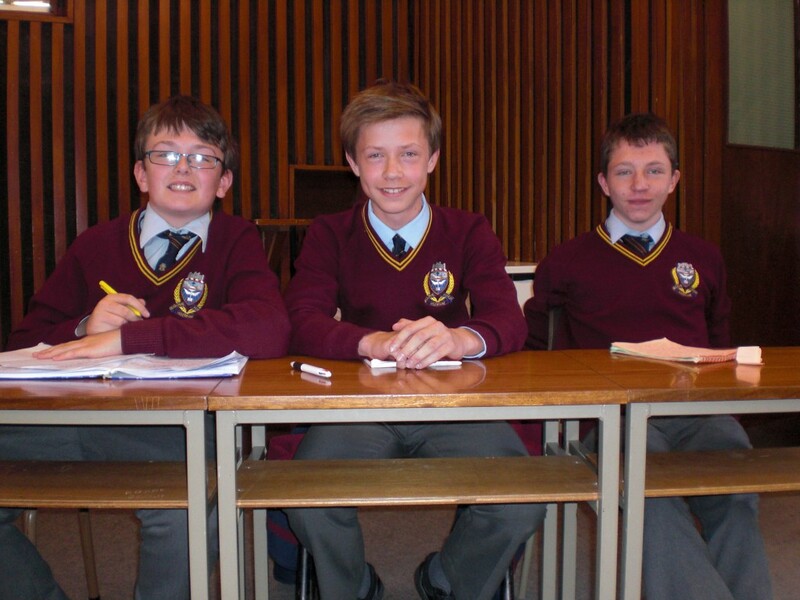 With well-researched and informative speeches, the motion was narrowly defeated. That teenagers spend too much time on computers. This motion saw 1A3 achieve their first victory with very well delivered speeches from Yasmin Hanratty, Emma Mullen and David Alabi for the proposition. Val Farrell, Ignas Prakapas and Anthony Ryan valiantly opposed the motion for 1A2. That history is an important subject in school. 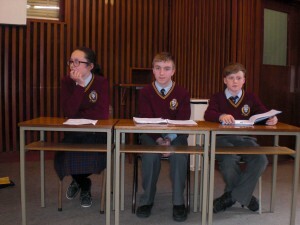 The history department at Franciscan College Gormanston heaved a collective sigh of relief as this motion was carried. 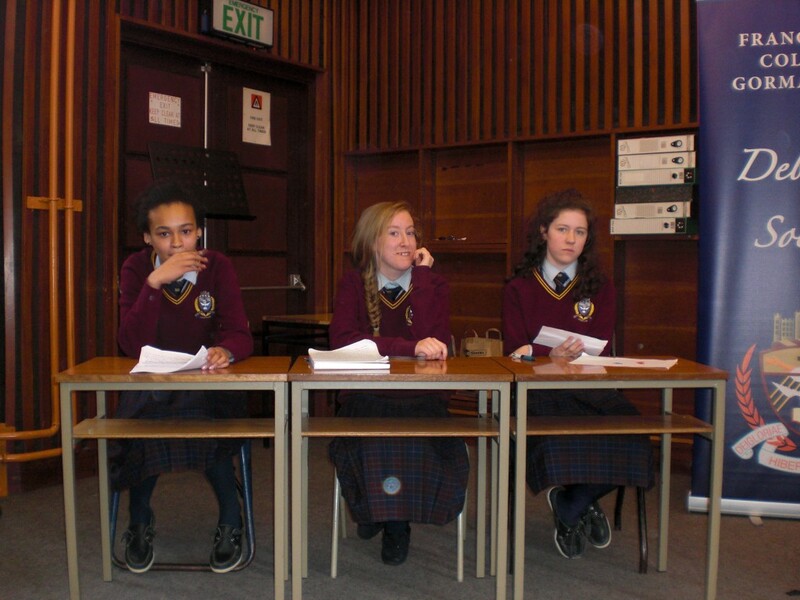 The debating talents of 1A3 were again on display through the persuasive skill of Ruth Flanagan, Megan O’Toole and Sarah-Jane Byrne. The proved to be too skillful for the courageous debaters of 1A1 – Sarah Browne, Edward Hamilton and Ewan Costigan. 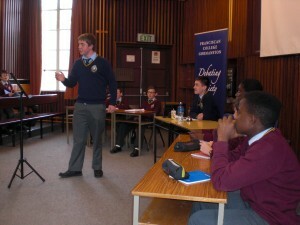 The amount of preparation put into each of the speeches was clear to see and this was a contest that every team wanted to win. The speakers did themselves and their teachers proud and we look forward to many more heated debates as these very hard working classes move into second year. All first years attended the debates and the students who did not have the opportunity to represent their class this year are very eager to do so next year. 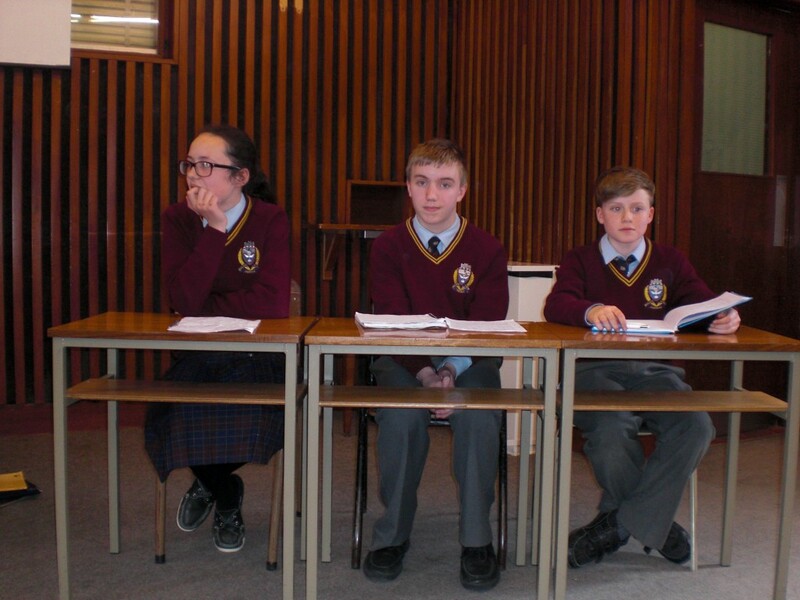 All first years would like to extend a very sincere thank you to Ms Ryan and Mr Buckley who were faced with the very difficult task of adjudicating all three debates and to Eoin Gormley and Sean Landers from 5th year who were our very capable Chairperson and Timekeeper. Write an essay in response to the above title. 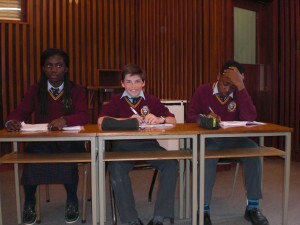 Your essay should include a discussion of his themes and the way he expresses them. Support the points you make by reference to the poetry on your course. Discuss this statement, supporting your answer by quotation from or reference to the poetry by Hardy on your course.